This January, the Vilnius-based Eastern Europe Studies Centre organized a big two-day international event for experts, politicians and intellectuals. The centrepiece of the second day of the conference was an address by Mikhail Khodorkovsky. 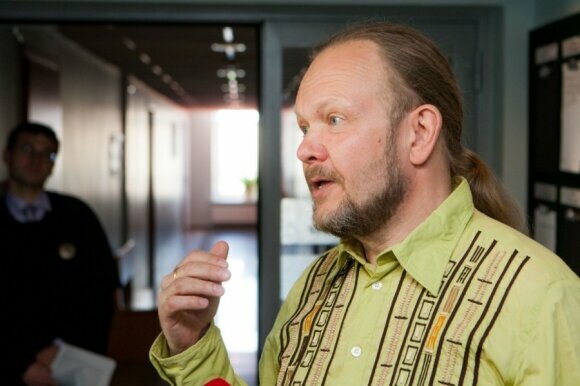 Following the forum in Vilnius, Andrey Illarionov told me about the fact that in one of his written answers from prison to a journalist, Khodorkovsky expounded on the theory of fascist capitalism as his vision for Russia, but the journalist decided to skip that part in the publication, since it did not fit well with the image of western-like businessman. But apparently such a vision was not a temporary fascination: following his release from prison, Khodorkovsky presented the same vision in his lecture at Sciences Po in Paris, with Sergei Guriev, a liberal economist, who had just escaped imprisonment in Russia, in the audience. Guriev did not dare to raise opposition, however. 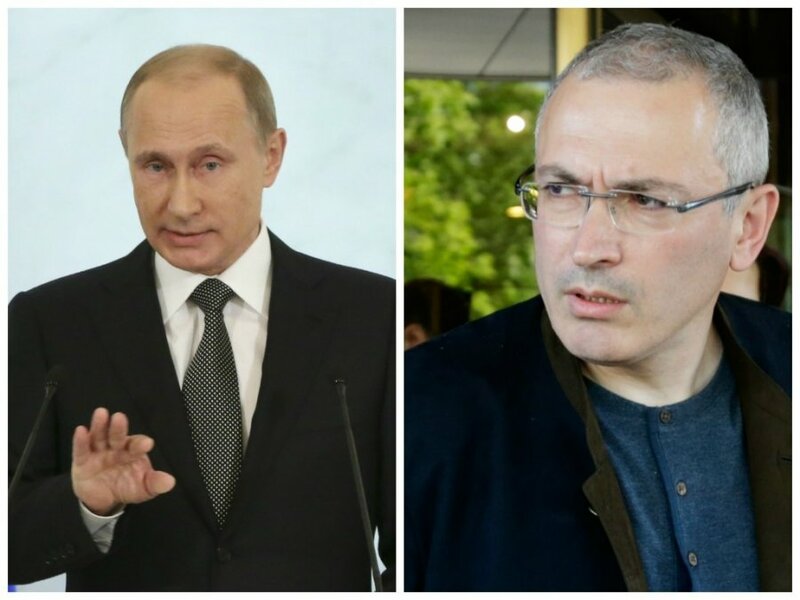 Opinion: Is Mikhail Khodorkovsky the devil's advocate? It shall be noted that Illarionov has written a dissertation on various forms of capitalism, including fascist capitalism. The latter includes Putinism as one of its variations and, in purely economic sense, Khodorkovsky supports it, bar corruption as a destructive element. According to Illarionov, Khodorkovsky was one of only a handful of oligarchs who had not approached him with any request during Illarionov’s five years as the president's advisor. During ten years in prison, Khodorkovsky did not ask for the president's pardon, thus positioning himself as a political prisoner. Then Autumn of 2013 came. Today, we already know that on 9 November Putin had a secret meeting with Ukraine's president Viktor Yanukovych in a military airport near Moscow. This was probably when Yanukovych made up his mind not to sign Association Agreement with the EU. On 12 November, Khodorkovsky filed his pardon request, quoting family reasons – his mother was seriously ill. On 28 November in Vilnius, Yanukovych refused to sign the pact with the EU. A witness of this event and also a participant of last week's meeting, former Swedish foreign minister Karl Bildt, revealed to the audience of the Vilnius forum that when the Ukrainian president was leaving the Palace of Grand Dukes, he had a composure of a man who knew that hell was waiting for him back home. According to Bildt, the issue of Ukraine will have a major impact on the future of Russia. Khodorkovsky, on the contrary, pushed the issue of Ukraine aside in the Vilnius forum. During the entire month of December in 2013, Kiev was absorbed in the Euromaidan protests. On 17 December, when Yanukovych went to Moscow again, Putin promised him a support package worth USD 15 billion. And later in December, after a press conference, Putin surprised everyone with sensational news that he had received Khodorkovsky‘s pardon plea and that he was going to grant it. The presidential pardon for Russia's number-one prisoner was universally read as an attempt on Putin's part to improve his image in the run up to Olympic Games in Sochi. 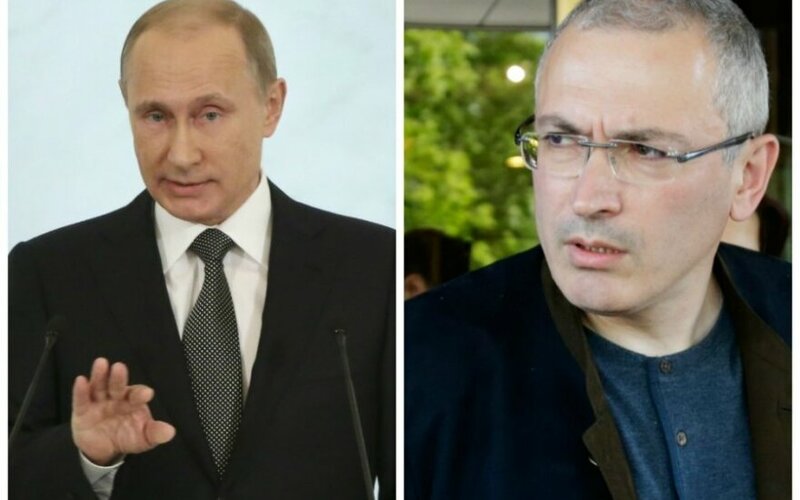 Khodorkovsky was urgently issued a foreign passport and a plane ticket to Germany. The USD 550 million tax claim against him remains valid and can be used as a pretext to arrest Khodorkovsky the minute he comes back to Russia. Once in Germany, Khodorkovsky met the media and Western society and was talking loudly about his pledge to stay away from politics until the end of his nominal prison term, i.e., August 2014. His statements received headline-grabbing news treatment around the globe. There was one strange detail, though: his sick mother, whose illness was the the basis of Khodorkovsky's pardon plea, had already gone back home from Germany to Moscow and she had to fly back to Berlin to meet her son.